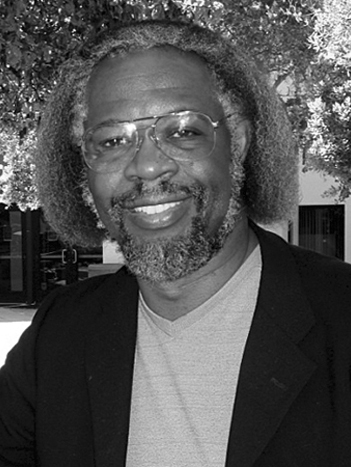 Sylvester James (Jim) Gates, Jr., is a Distinguished University Professor, University System of Maryland Regents Professor, and the John S. Toll Professor of Physics at the University of Maryland and director of its Center for String and Particle Theory. He is also an affiliate professor of mathematics. Known for his work on supersymmetry, supergravity, and superstring theory, Dr. Gates uses mathematical models to explore the elementary particles and fundamental forces of nature. Before joining the faculty of the University of Maryland in 1984, Dr. Gates held postdoctoral appointments as a Harvard University Society of Fellows Junior Fellow and as a Research Fellow at the California Institute of Technology. He currently serves as a member of the Maryland State Board of Education and the U. S. President's Council of Advisors on Science and Technology. In 1984, working with M. T. Grisaru, M. Rocek, and W. Siegel, Dr. Gates co-authored Superspace, the first comprehensive book on the topic of supersymmetry. He has published more than two hundred research papers. Some of his research in physics has led to the creation of surprising new results in the field of mathematics, including complex manifolds, network theory, and representation theory. International aspects of his career includes appointments as a Fellow of the Stellenbosch Institute for Advanced Studies (South Africa), Professor-at-large at the University of Western Australia (Australia), and a Distinguished Research Chair of the Perimeter Institute (Canada), and a Fellow of the Institute of Physics (United Kingdom). He authored the 2006 Italian book L’arte della fisica, published in Rome, and popular-level discussion entitled ‘‘Symbols of Power,’’ published in the British journal Physics World. “Symbols of Power” describes research begun in 2004 on Adinkras, a new concept that links computer codes like those used in browsers to the supersymmetric equations of fundamental physics. During his career, Dr. Gates has received a number of honors for his teaching, including the 1999 College Science Teacher of the Year from the Washington Academy of Sciences, the 2002 Distinguished Scholar-Teacher from the University of Maryland, and the 2003 Klopsteg Award from the American Association of Physics Teachers. In 2006, the American Association for the Advancement of Science honored him with the Public Understanding of Science Award, and in 2013 President Barack Obama awarded Dr. Gates the National Medal of Science for his contributions to science and research. Dr. Gates is a member of the board of trustees of Society for Science & the Public and of the board of advisors for the Department of Energy's Fermi National Laboratory. In October 2011, he was inducted into the American Academy of Arts and Sciences. He was elected to the National Academy of Sciences in 2013. He has been featured extensively in many science documentaries on physics, most notably The Elegant Universe in 2003. In 2006, he completed a DVD lecture series titled Superstring Theory: The DNA of Reality for The Teaching Company to make the complexities of unification theory comprehensible to laypeople. During the 2008 World Science Festival, Dr. Gates narrated a ballet, The Elegant Universe, with an on-line resource presentation of the art forms (called Adinkras) connected to his scientific research. The NOVA/PBS fall 2011 presentation of the science documentary The Fabric of the Cosmos prominently features Dr. Gates.